The team at the Novotel Reims Tinqueux welcomes you to the Champagne region. Enjoy our location for your visit to Rheims or the vineyards. #FeelWelcome in the Champagne region! 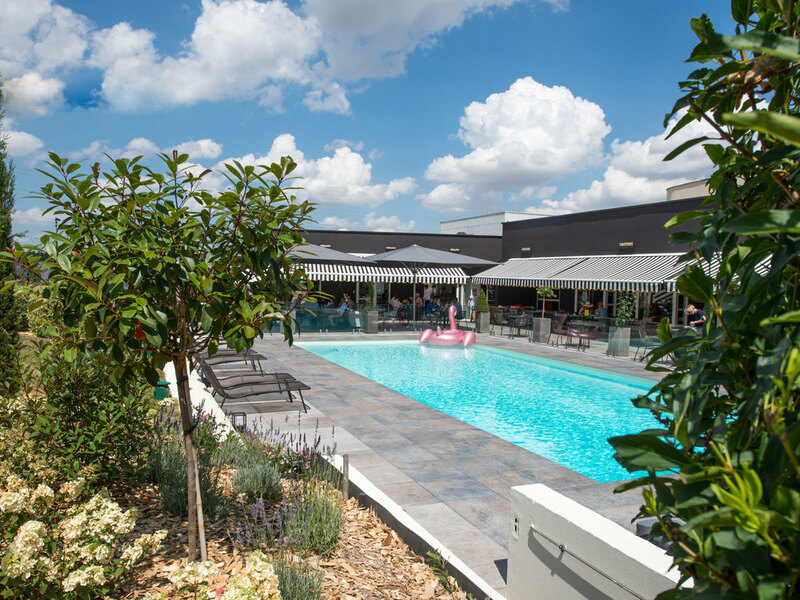 With easy access via the A4 and A26 highways, the 4-star Novotel Reims Tinqueux hotel has a free private car park. Enjoy a day in the sun by the outdoor swimming pool (closed on September 3) or on the terrace and let the kids have fun in the play area. Our hotel is ideal both for family meals and business events. Close to the Champagne Ardenne TGV and central Gare de Reims train stations, we are also in an ideal location for visiting the vineyards in the Champagne region and UNESCO World Heritage Sites. Spacious, contemporary and perfectly adaptable, the Novotel room is a true living space and can be adapted to suit all requirements. All our rooms measure at least 269 sq. ft. (25 sq. m) and have double beds measuring 59" (150 cm) and WIFI. All rooms have a bathtub or shower and separate toilet. Choose the Executive Room and enjoy a Nespresso coffee machine, walk-in shower, wellness kit with bathrobe and slippers and minibar. Eat what you like, when you like. Our food is simple, tasty, healthy and balanced. During summer, come and experience our grilled "a la plancha" dishes on the poolside terrace. An open space with a cozy and inviting atmosphere, just perfect for relaxing. Whether you are meeting a business contact or catching up with friends, our barman will be delighted to introduce you to our finest champagnes.